We realize the world of project portfolio management is a complex and intricate one. Managing a tangled network of interdependent undertakings, projects, and tasks can be an overwhelming challenge even to the most experienced PMs. a genuinely versatile application to optimize your work, ensure enhanced results and save precious time. 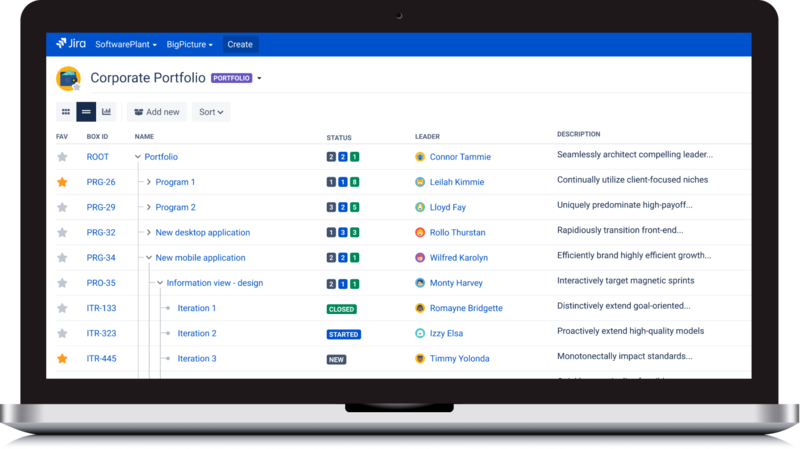 BigPicture’s Portfolio Overview is flexible enough to help you build any portfolio structure you can think of, such as portfolios, sub-portfolios, programs, projects, stages, SAFe® Product Increments (PIs), and more. Whatever your methodology, you can effortlessly optimize your set of undertakings and regularly track work progress. You can simultaneously monitor how things are advancing at high and granular levels. Most project managers deal with an array of methodologies. From agile to the waterfall, with anything in between, it’s useful to keep track of all your teams and tasks in one workplace. Our Gantt module is there to lend a helping hand! This plugin allows you to keep a portfolio-level view of all your projects easily. 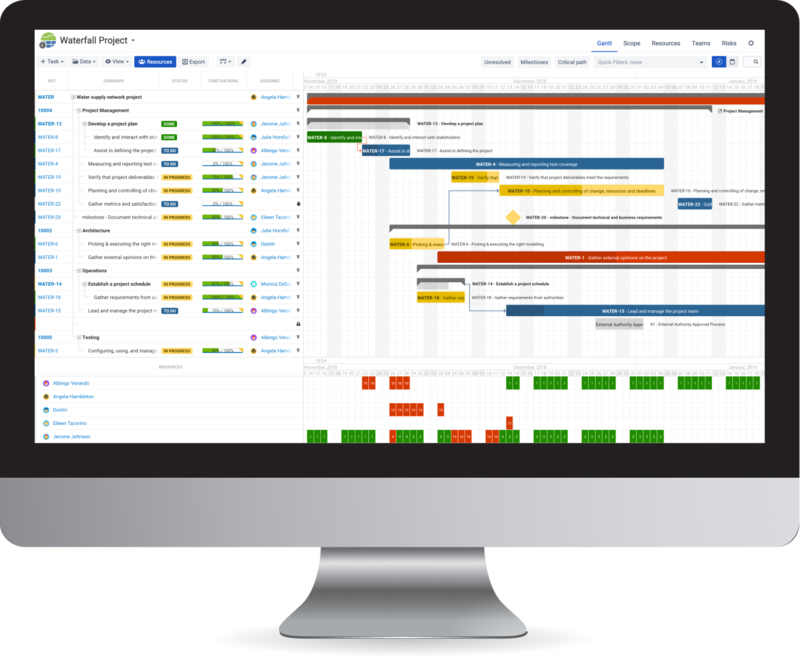 Whatever your chosen framework, Gantt can be tailored to work for your specific needs. Reporting and planning have never been this easy! 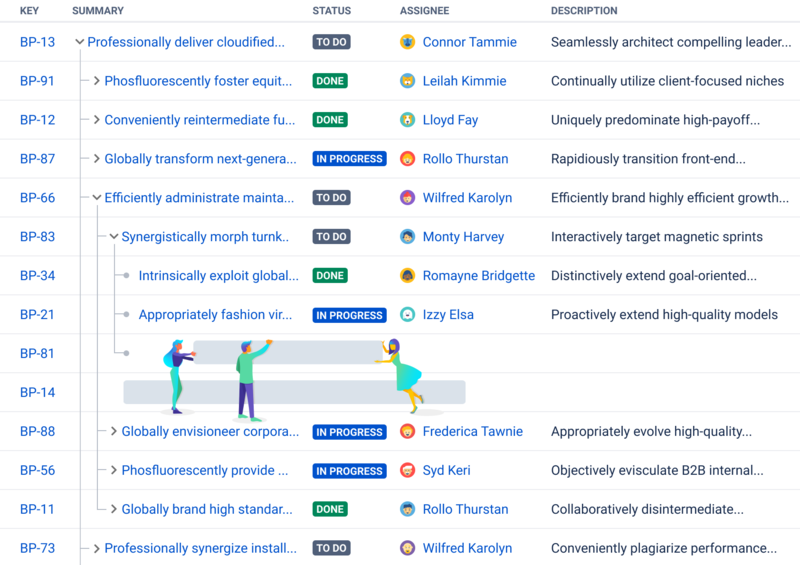 The WBS (Work Breakdown Structure) of your project, multi-level hierarchies, quick filters, and advanced aggregation make Scope a perfect tool for every PM working in any methodology—or no methodology at all. Filter and single out scope data according to your criteria or use predefined Quick Filters to see your specifics, such as Epics, unresolved tasks, tasks assigned to an only particular resource only, etc. Appropriate allocation of resources is crucial in any project. Ever-changing circumstances very often necessitate a flexible approach to workload planning to ensure that adjustments are put into place and that the project runs smoothly. 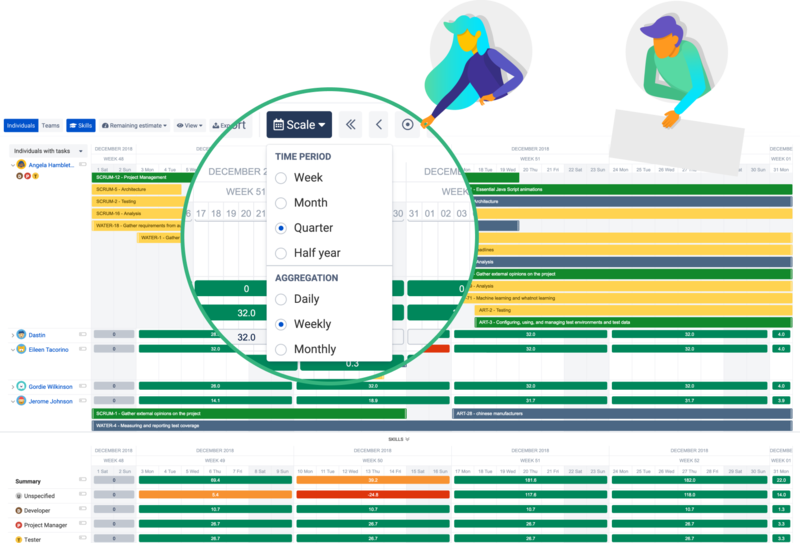 Our tool allows you to analyze the availability of your resources (teams and skills), assign and schedule particular tasks and update capacities automatically. Up your planning game with this exciting, new module! 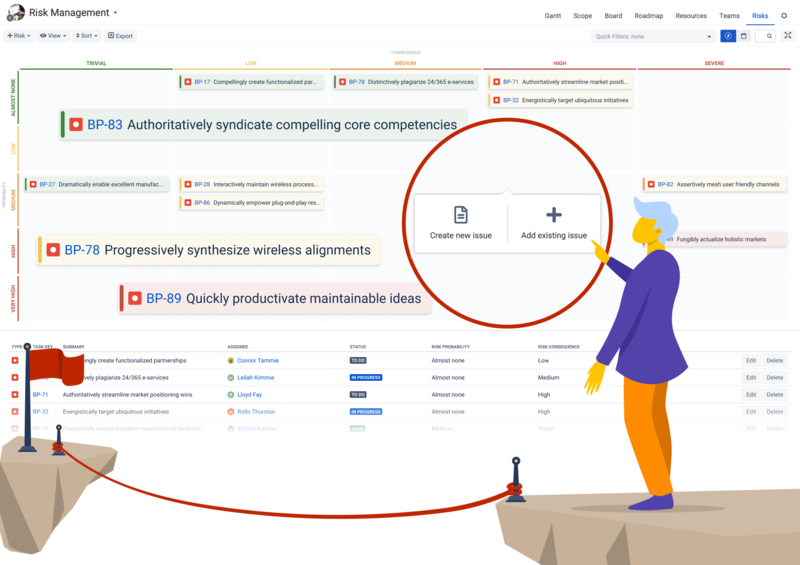 Board lets you plan with multiple teams and on multiple levels. Give it a try whether you work in sprints or Program Increments (PIs). While fully compatible with SAFe®, our tool is flexible enough to accommodate any methodology you can think of! 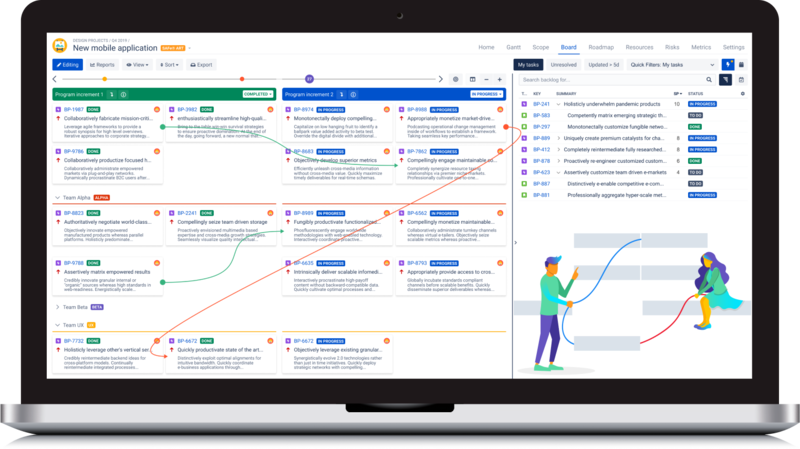 BigPicture’s fully SAFe®-compliant Roadmap module helps you manage your Program Increment objectives and iteration goals effectively. 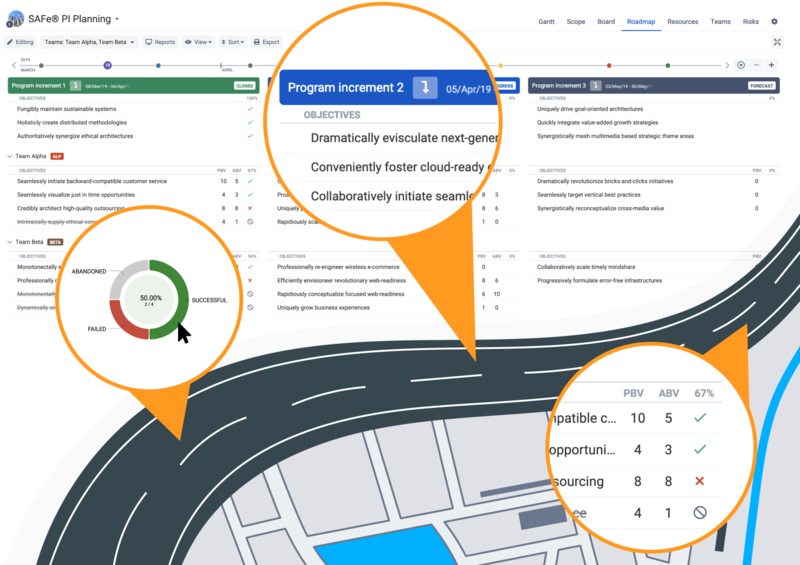 Versatile as it is, Roadmap will prove equally useful for waterfall and hybrid approaches, allowing you to set targets for all undertakings, such as projects, programs, portfolios, stages, and iterations. With its useful drill-down feature, you can see your entire project or zoom in to a specific phase exactly as your needs dictate. Once a project is fully scheduled and underway, some tasks demanding particular attention will be noted either because they are known for causing trouble or simply due to their high importance. This could all be jotted down on a sticky note or just remembered. It is best, however, to use the Risk matrix module of BigPicture to keep things tidy and usable. The Risks component of BigPicture allows a matrix to be designed to show a visual representation of sensitive issues. Big organizations have it complicated. Juggling multiple undertakings such as projects, portfolios, programs—which are often arranged in an intricate network of connections—is a challenge. This is where our Enterprise solution comes into play! 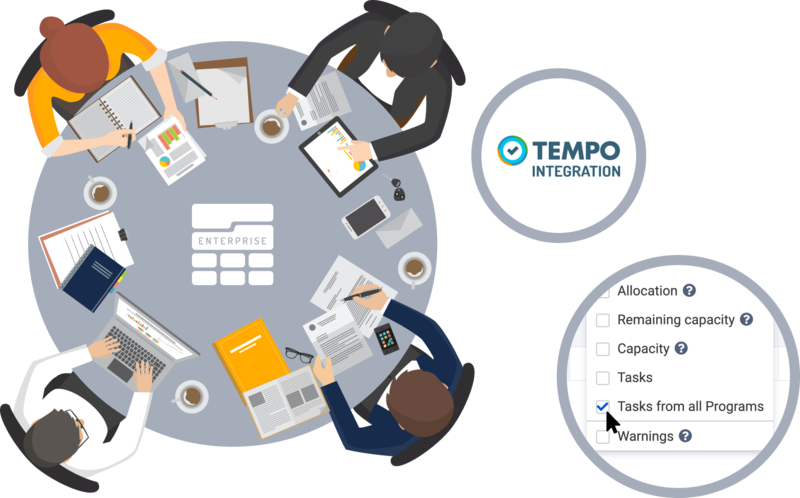 No matter how many teams, goals, and deadlines you’re managing, you can always stay on top of your game with BigPicture Enterprise for more sophisticated infrastructure, added functionalities, ample integration with Jira apps, Trello, TEMPO and more! All of our plugins have been through a rigorous review process by Atlassian, who holds vendors to high standards for reliability. Customers are the focus of our attention, which is why we place great emphasis on competent and timely support.